Hello fellow quickescapies, quickers, quickies! Yeah, I prefer the latter – quickies. Way catchy and very wholesome. Anyway, I remembered this trip to be a bit tricky. 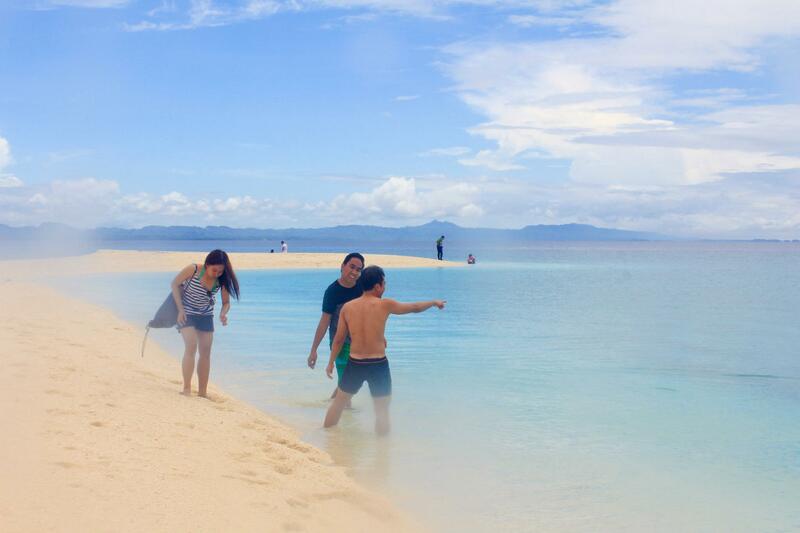 My friends and I found a promo fare bound for Cebu and heck yeah booked it. Question was, will we be going North or South of Cebu? 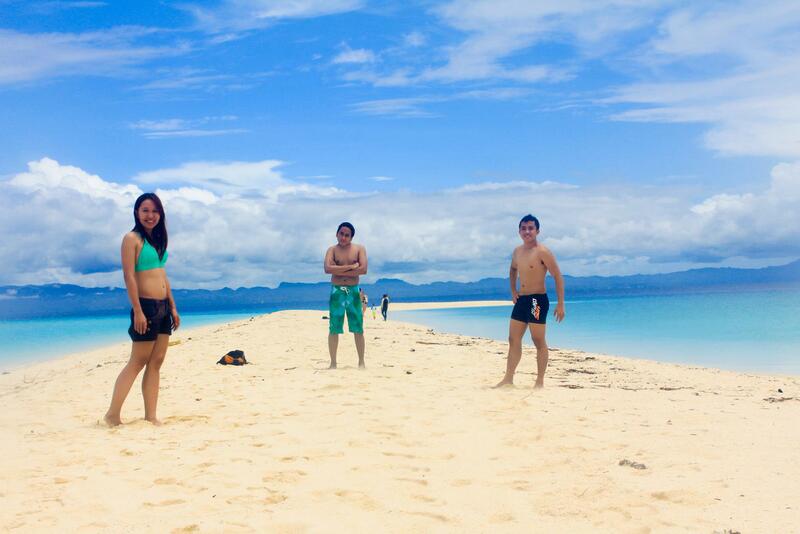 Since we’re more of beach guys, we picked north – where Malapascua and Bantayan lie. 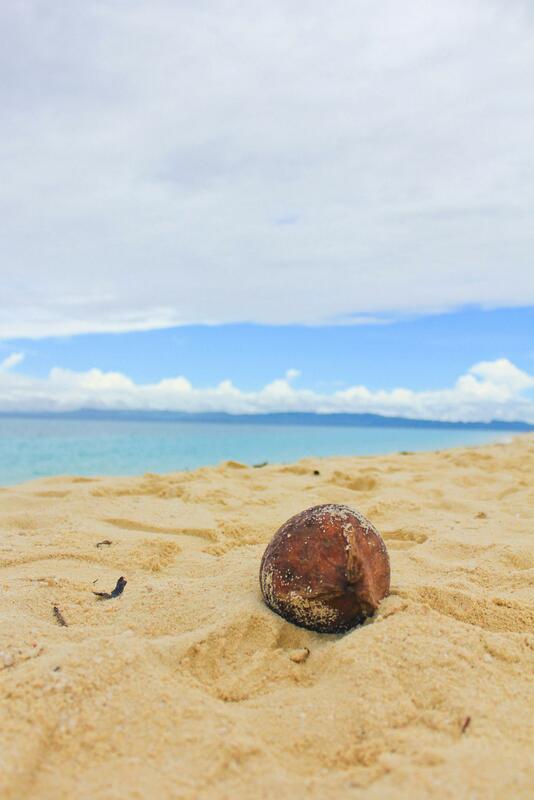 Then came another question, would it be Malapascua or Bantayan? 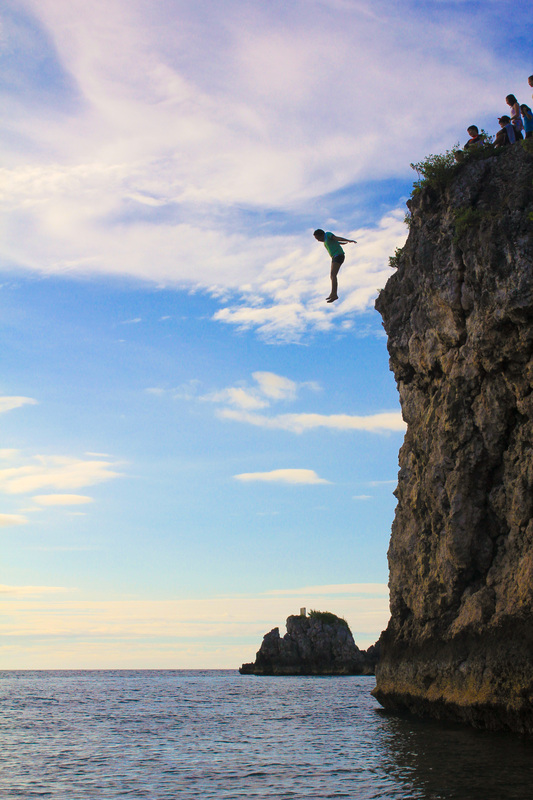 The deciding factor was – Malapascua offered cliff jumping! We arrived on the island at past noon – hungry as we were, this spectacle eradicated anything we endured during the long trip. And so we gave in to our grumbling stomachs… How can you not sit and eat here? I mean, seriously? 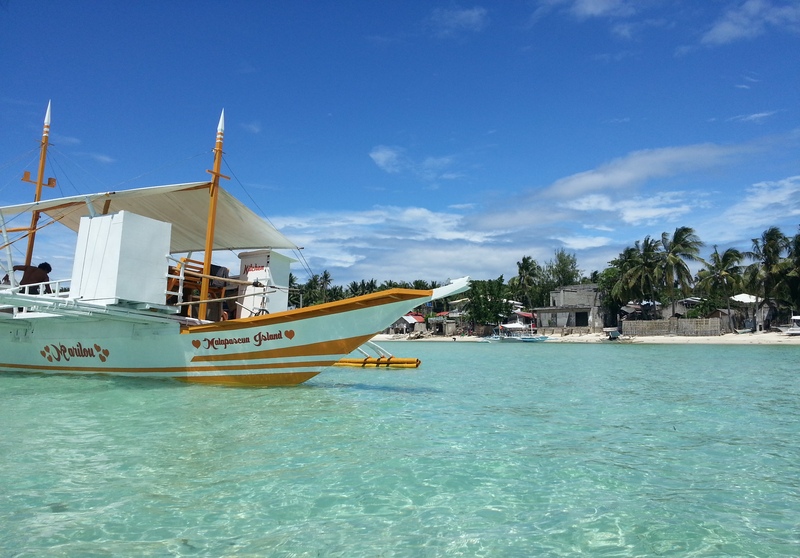 After lunch, we availed the island tour package and hopped on the banca. The tour’s last stop was the island’s infamous cliff (that’s why we’re here in the first place). 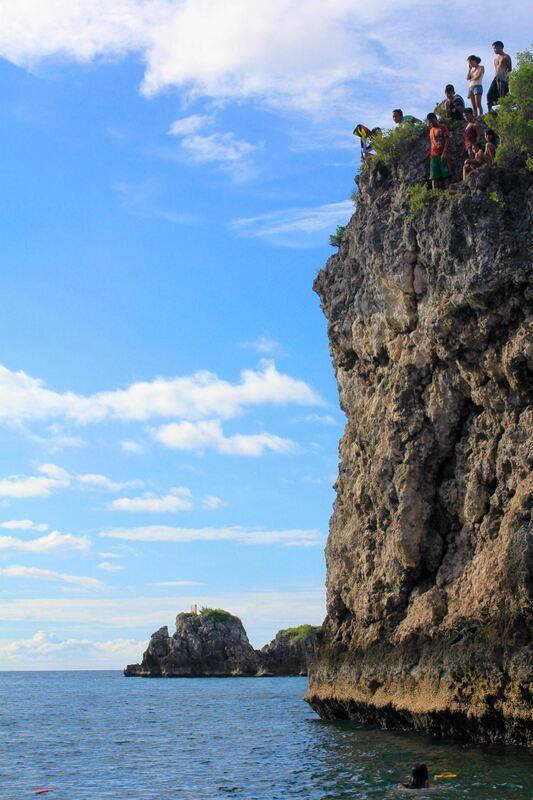 But seeing the cliff from our banca made my guts turned. I have never cliff jumped in my life and from my point of view (yes I’m the one with the sweaty green stripes shirt on) this couldn’t be fun as I was scared to death. After of almost an hour of contemplating on the edge of the cliff, my friends and I decided to give it a go. I mentioned that we will definitely regret this if we don’t jump. 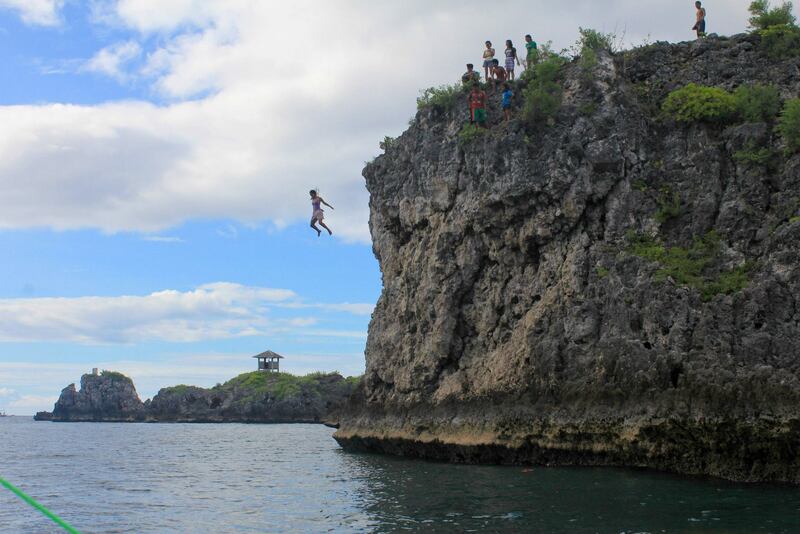 I was the most scared among all of us and yet I was the first to jump!!! One off my bucket list! Rise and shine! Normally when I’m on vacation, I usually wake up very early. I just savor every minute of my stay – I can always sleep on my bed and at work (kidding!) so why waste precious time in your hotel, right? 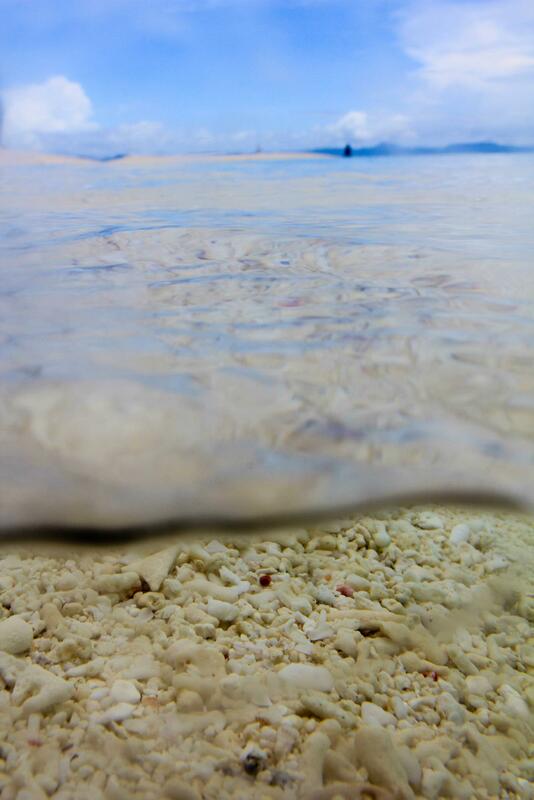 I have never seen a sand bar as beautiful as that! What.A.View. 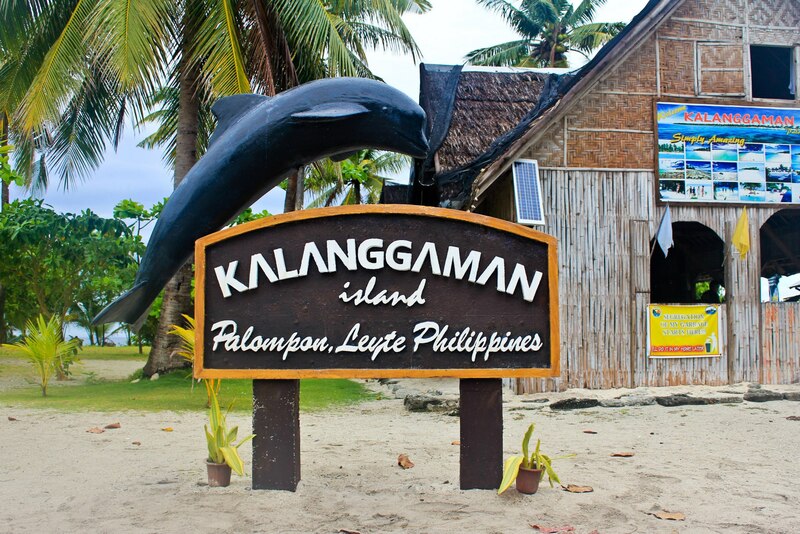 We headed back to Malapascua before dusk just in time for a disco-han in the area. Locals from all generations were seen losing themselves to the tune of Dayang – Dayang. 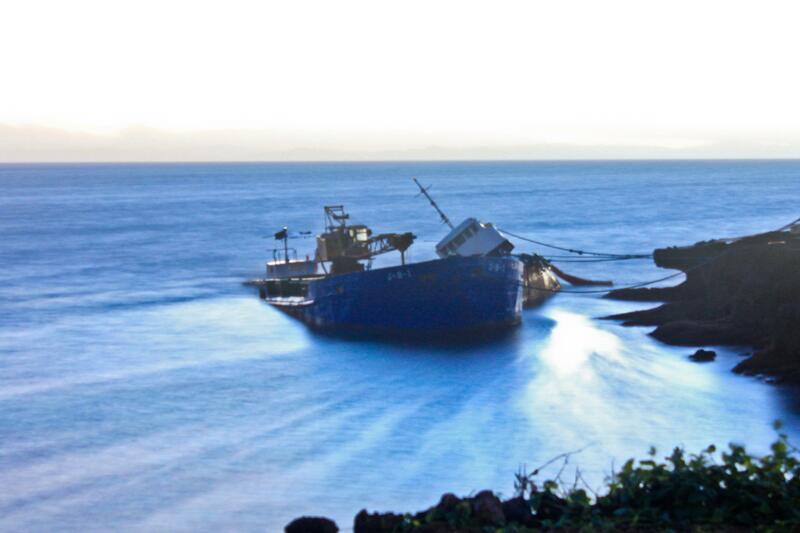 A few days before we got to Malapascua, this ship got to its shore first. 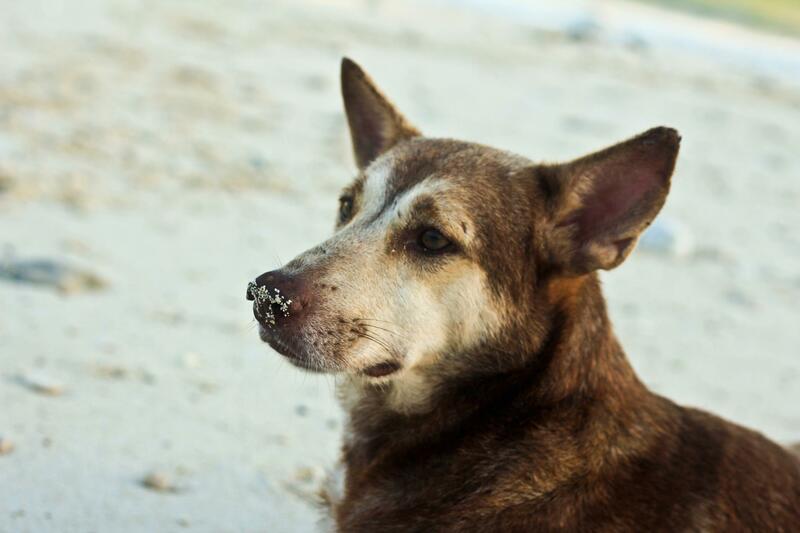 We asked for the specifics but the locals said that the incident was already taken cared of. And this dog definitely don’t give a shhhh. Whenever I see your shores, I always feel an itch on my feet. 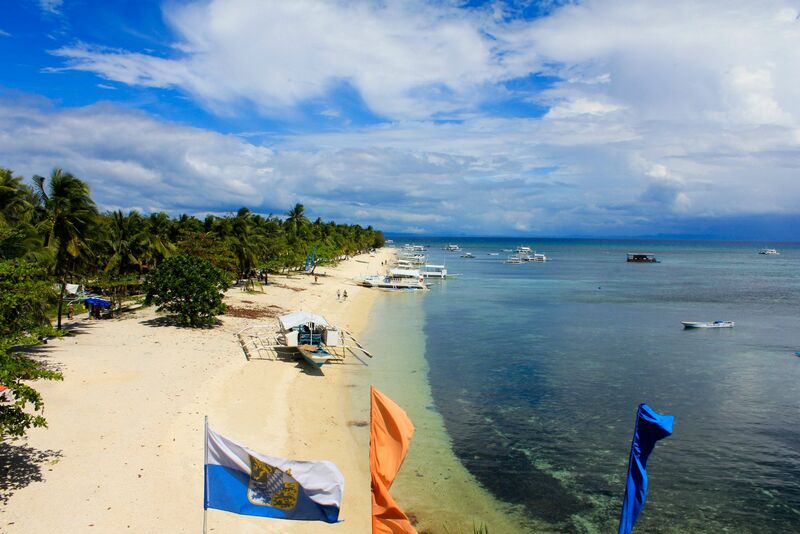 I would love to go back and explore you more, Malapascua. Check in is 400php per pax. You can opt not to change hotel during your stay, we just decided to witness local disco in Bantigue.